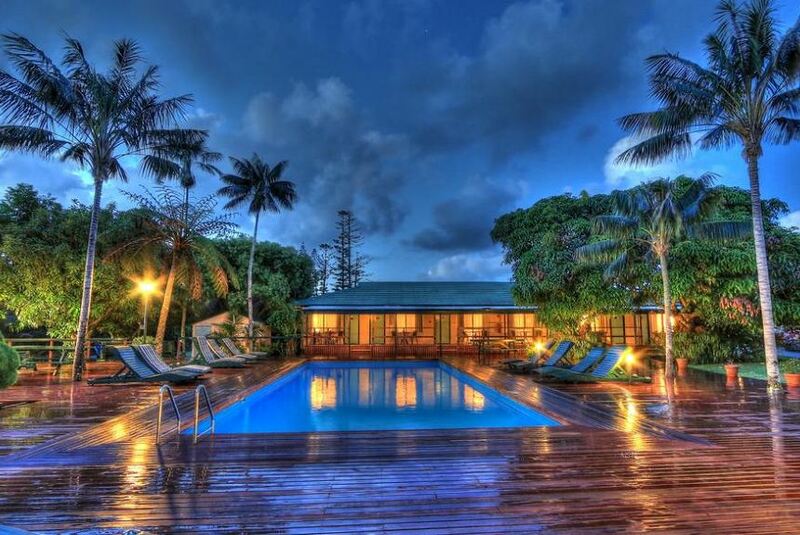 Welcome to The Paradise Hotel & Resort Norfolk Island. Gold Award recipient for best Hotel Accommodation in the last Norfolk Island Tourism Awards and your ideal Norfolk Island Accommodation. Our popular resort hotel is nestled in 11 acres of beautifully landscaped sub-tropical gardens. With 49 spacious rooms in four accommodation styles, there is something to suit every budget and we endeavour to make your stay with us as comfortable as possible. During your stay, why not relax by our swimming pool with a cocktail or enjoy a romantic dinner at one of the island’s finest restaurants – La Pèrouse Restaurant & Bar, open seven days a week for breakfast, lunch and dinner. Our head chef serves modern family style cuisine with an island twist and focuses on using the freshest local produce available.